Date: Mar 24 2019, 9 a.m. Learn a new skill with Kaiserslautern Outdoor Recreation’s PSIA and AASI trained ski and snowboard instructors. It's always winter at Snowhall! Start to enjoy it when you learn to ski or snowboard with a 2 hour indoor lesson session followed by 2 additional hours of free time to perfect your form. 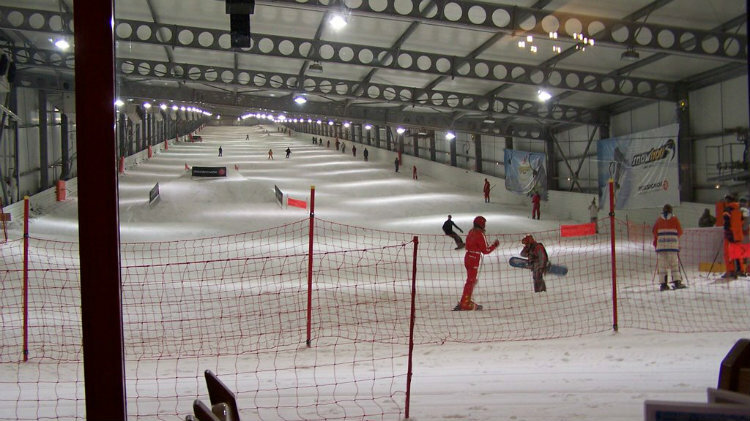 Snowhall’s 600 meter long indoor ski trail is the perfect length and pitch to learn on, and includes uneven and freestyle sections for more advanced skiers and riders. This package includes everything you need to learn to ski or snowboard and is designed to make learning as easy as possible. After this trip you will be ready to ride the Ski Express bus to some of Europe’s best ski areas. Winter is here and wont wait for you. Before you know it, ski season will be over. Reserve your ski or snowboard lesson with Kaiserslautern Outdoor Recreation today.